We use flexible eating and macro-counting with 99% of our clients. But I believe our success stories have more to do with the daily habits we help our clients build rather than the macros we prescribe. Counting macros is not for everyone and even if it works for you it does not have to be for 100% of the time. Your nutrition should enhance your life, not create stress. Yes, you do need to be disciplined and make some sacrifices to achieve your goals, but you should also ask yourself if your diet helps you maintain a healthy relationship with food. And if you find yourself feeling guilty or anxious about social occasions around the holidays maybe the answer is no and it is time to take a step back. Rather than letting frustration build, perhaps we can accept that perfection isn’t always the goal and that there is more than one way to do things. There are 31 days in December, that is 93 meals. Let’s say you have 10 parties in December. That seems like a lot and you may think to yourself bring on the stretchy pants and let loose! But really 10 out of of 93 is less than 11% of your entire month. The way I see it we have a couple of options. 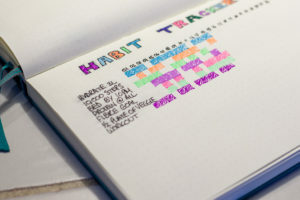 Take a break from macro-counting and focus on daily habits to keep consistency instead. You can chose to continue to track over the holidays, just make sure to leave room for a little more flexibility. Meaning you may track most of your meals, the ones you can control, but also leave some room to have a few flexible ones, the ones you want to be more present and enjoy, allowing yourself to enjoy them guilt free. This means letting go of the all or nothing mentality which can send us in a quick downward spiral following a bad meal or two. You know the drill, go out Friday night to the office party, over indulge on beers and those amazing sliders that were circulating all night.Wake up feeling pretty crappy Saturday morning, filled with guilt, too hungover to go to the gym and since you have to be at your sister-in-law for another holiday meal tonight the weekend is pretty much shot. Best plan at this point is to hit the drive through and get Tim Hortons for breakfast, watch Netflix on the couch all day and write off the entire weekend. But how about you give yourself permission to enjoy that work party Friday night instead and not view it as a failure. Eat sensibly all day, and just enjoy the party and the delicious mini-sliders. Saturday plan to sleep in a little extra because you know you will need it, grab a tall glass of water when you wake up to rehydrate while you prep your breakfast and get ready to meet Suzie for spin before lunch because you knew you’d feel this way and made a date ahead of time knowing a good sweat would make you feel better and help get you back on track. Energized post spin you can work on that beautiful veggie platter you want to make to bring to your sister-in-law for tonight and maybe still catch a show on Netflix. While I am at it, I fully recommend The Kominsky method, so funny. See how a shift in mindset can turn around the entire thing and feel 1000 times better. You can let one meal derailed your whole weekend or you can accept that being perfect isn’t the goal right now. Being consistent is. Plus I find with most of us when we take the guilt out of it and give ourselves permission our eating and drinking habits become a lot healthier. But maybe that still doesn’t feel quite right for you over the holidays and that is okay too. Why not take a break from tracking. You can keep yourself accountable with a daily habits checklist, pair it down to a few non-negotiable habits that you know will keep you feeling good. Like packing your lunch to work and being in bed by 10pm. The goal being to follow a simpler routine allowing you to continue to feel successful and not set yourself backwards in the next few week. This is a great option for you if your goals are more about improving your health and well being long term and you don’t have immediate aesthetics or performance goals. Taking a break can be freeing for those of us that tend to get too hung up on perfection. If you easily get anxious around social situations and feeling out of control then perhaps allowing yourself to focus on the basics, taking time to relax and and listen to your body is the right thing. I recommend picking a few, say 3-8 daily habits, keep them measurable so success is clearly defined. Getting better sleep is vague, being in bed by 11 isn’t. Drinking moderately is also vague, but no more than 2 drinks isn’t. Your habits should support your goals , but also be realistic given the time of year, we don’t need this to be one more thing you feel stressed about. There is no right or wrong answer here. But there is one that is right for you and will allow you to feel good about your nutrition and working towards your end goal, which is why all our coaching is 100% individualized and cater to you and your needs. If you think you tend to be all or nothing and not sure how to approach this or may need a break and don’t know where to start reach out we would love to help.